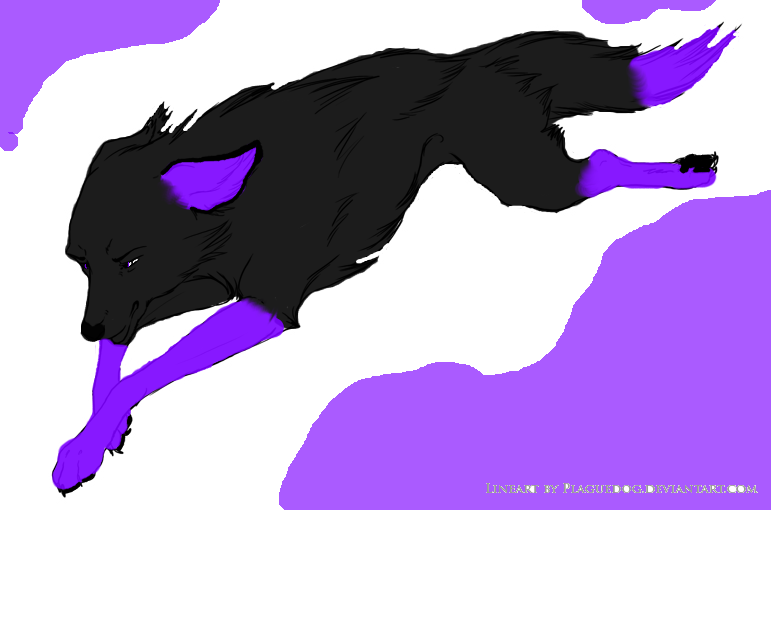 I whimper,backing up a few.But then i relize its purple markings.Real wolves dont have purple marking's.I thought. "Your not a regular wolf. "I say. "What do you know of 'not normal' " I demanded. "Plenty. "I say thinking he's just a wolf.I stand on my hind legs behind a tree.I transform to my human self and stay hidden behind the tree,trying to keep my undressed body behind the tree log.I poke my face out. "See,i told you. "I say. I snarled. I transformed back as well. "Who are you?" I asked. "I Savanna. "I say transforming back into a wolf. I transformed as well. "Well, there are only about 1000000 Savanahs in the world but ok." I barked. "Haha.Not funny"I say walking back to where i left my stuff. "Wasn't trying to be." I snorted as I ran off, weaving through the trees. I run back to my stuff and dress.I get packed up and run to my car.I hop in it and drive o my house. I ran and came to a clearing, the area was filled with flowers. I laid down, pawing a butterfly. (Okay peeps!Basically the setting for this rp is in a large town in Tennesse called Duluth. But there are several small towns and villages that surround Duluth, a few being: Mercy Falls - a small town, Jessica - another small town, Ideal - a small picturesque village and Roseville - another small village. Zach wakes up groggily. He glances over at his clock. Aww crap! He thinks, pulling himself out of bed and throwing himself into the shower. After spending the longest five minutes of his life in the shower, Zach quickly got dressed into the first clothes he could find, he quickly grabbed a oversized hat too before charging down the stairs and out onto the street. Zach quickly glances back at the place he called home. What used to be a two-story terraced house, had been renovated into two comfortably sized flats. One belonging to Zach, the other had recently been given new owners. Zachary stepped forward to see the name on the plaques which were placed next to their buzzers. Miss. P. Jacksone. Zach looked over at the Moving People van in the street before looking back at the plaques and seeing his own. Z. Emory. Zach sighed then continued down the road to the music store. Zach continued down the road. He put his hands in his pockets and started to jog as small clouds of frost blew from his nostrils. Upon finally reaching the shop, Zach reaching out from his pocket and unlocked it, changing the Open:Closed sign as he walked in. He yawned and turned the heaters on before going into the back room and putting his coat on the rack. He walked back out into the shop and waited for the rest of his staff to arrive. I changed to wolf form, and ran back home, stopping to change back before I left the woods. I was still laying in the woods when I smelt another wolf. 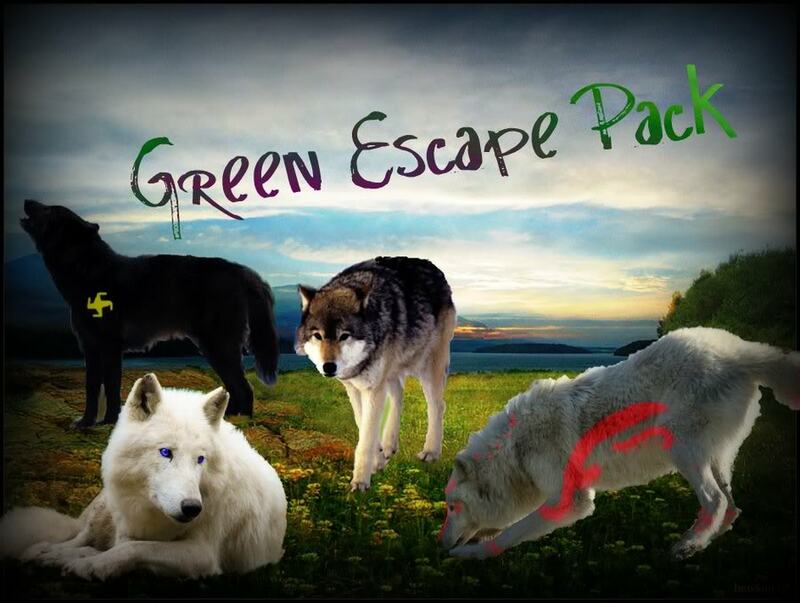 I growled "Full blooded wolf are nothing more than the equivelent of a human 2 year old." I growled. "I'll take that as an insult, loup-garou, unless you say otherwise of one of your kind." O ran out the door and into the forest.I ran deep into the forest before i transformed. "Finally,im free. "I say.I decide i will look for the wolf i saw yesterday. Chelsie continued to walk down the street, stopping at a small store, she sighed as she walked in looking at the merchandise.